As winter arrives in the Canada and the Northern United States, most concrete work comes to a halt. But because of the insulating properties of EPS foam, ICF work often goes on well into winter. Peter Polley, developer of a seven-story 113,000 sq. ft. condominium in Halifax, Nova Scotia, says they regularly worked through periods of extreme cold. He says there were a few days when workers were stacking forms at 20 below zero (about -5°F) and pouring concrete when it wasn’t much warmer. ICF builders from Alaska to Colorado have similar stories. Studies have shown that if concrete reaches a minimum compressive strength of 500 psi before it freezes, its ultimate strength will not be affected. This typically happens within the first 24 hours. The rule of thumb is that if the concrete can be kept above 40°F for 24 hours, it will reach design strength. The reason insulation matters on cold-weather pours is because concrete hydration is exo-thermic. That is, the chemical reaction between the water and Portland cement actually creates heat. 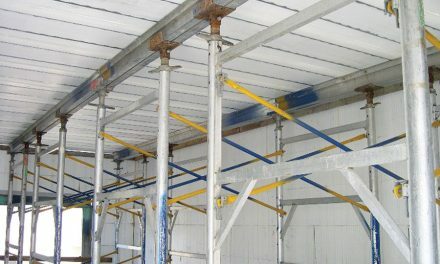 In theory, if the formwork were adequately insulated, the heat generated by the curing concrete would keep itself above the 40°F threshold needed to ensure the designed strength is reached. 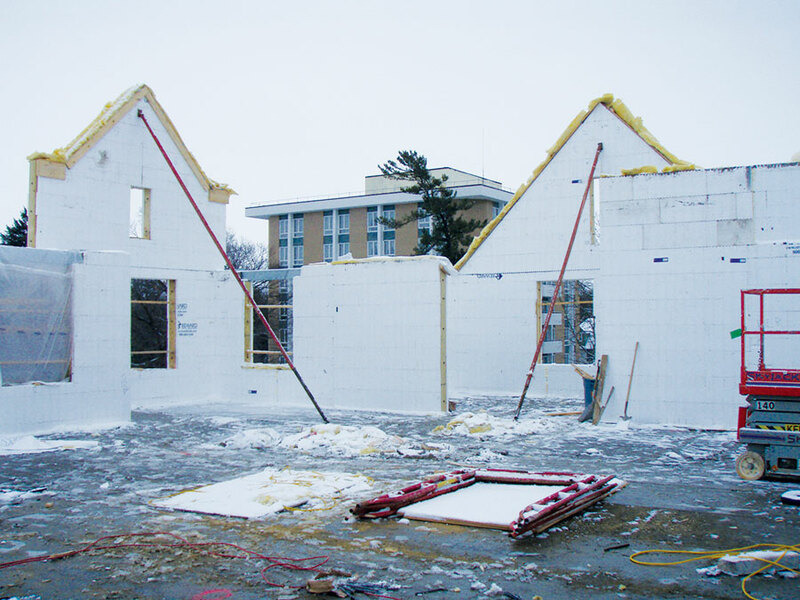 A few years ago in Northfield, Minn., the brutal cold of a Minnesota winter caught up to installers working on the three-story walls of an ICF college dormitory. Jumping on the chance to field-test this theory, on pour day the crew pushed a meat thermometer through the foam into the freshly-poured concrete core. 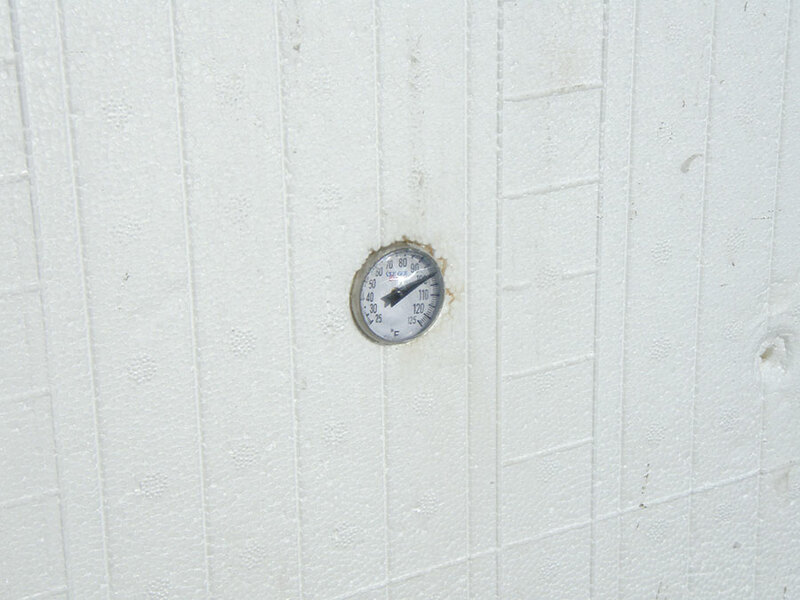 Jobsite temperatures hovered around 19°F, but the thermometer embedded in the concrete stayed near 100 degrees for a full 24 hours. 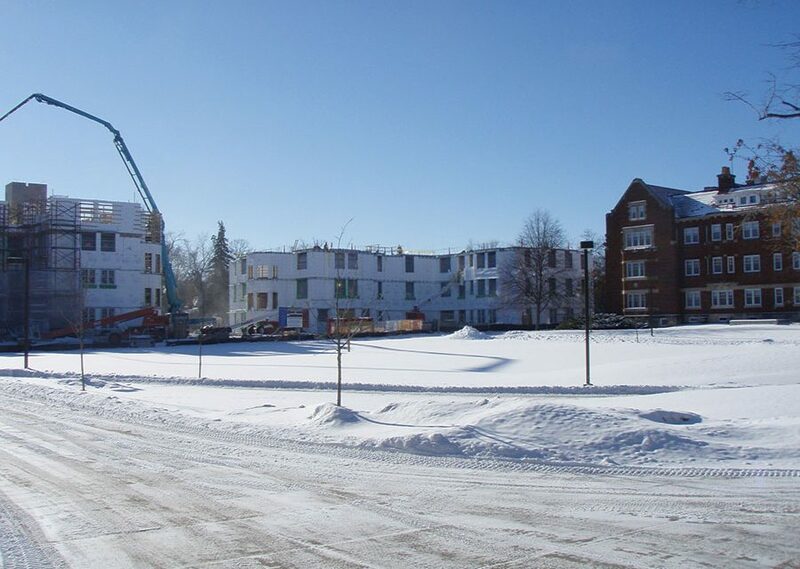 Carleton College dormitories, built in Northfield, Minn. is just one example of how ICFs can allow concrete construction to continue when other methods would be forced to halt. That matches the experience of Phil Summers, an Arxx distributor in Fairbanks, Alaska. In his case, the batch plant used hot water, so the concrete was 95°F coming out of the truck. He taped R-11 fiberglass batt insulation on the top of the forms and over the window and door bucks as well. At the end of seven days, it was -10°F at the jobsite, but for days the temperature inside the forms never dropped below 80-85°F, he reports. Rather than rely on anecdotal evidence, the Portland Cement Association (PCA) commissioned a formal study a few years ago to see if these claims could be duplicated in laboratory conditions. The report, available from the PCA bookstore under the title Cold-Weather Construction of ICF Walls, largely confirms the data from field reports. 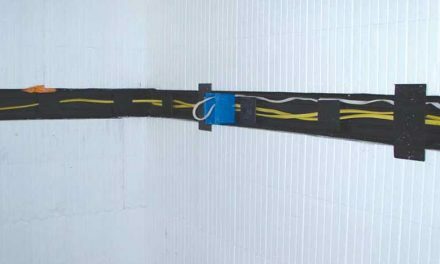 For the study, five 4’x4’ ICF wall sections were constructed with forms donated by Reward and Arxx, and wired with thermocouples. Then they were filled and immediately moved to a freezer kept at 0°F (-18°C). Two samples (a 4” and 6” core). had six inches of EPS foam insulation added to the top, bottom and sides to imitate a “clear wall” section. Two more used dimensioned lumber to simulate a wall section at a window or door penetration. The final wall sample was a 6” core placed on a frozen footing. The data was cross-checked against computer models, which were then used to extrapolate results to a wide variety of conditions and concrete mix designs. 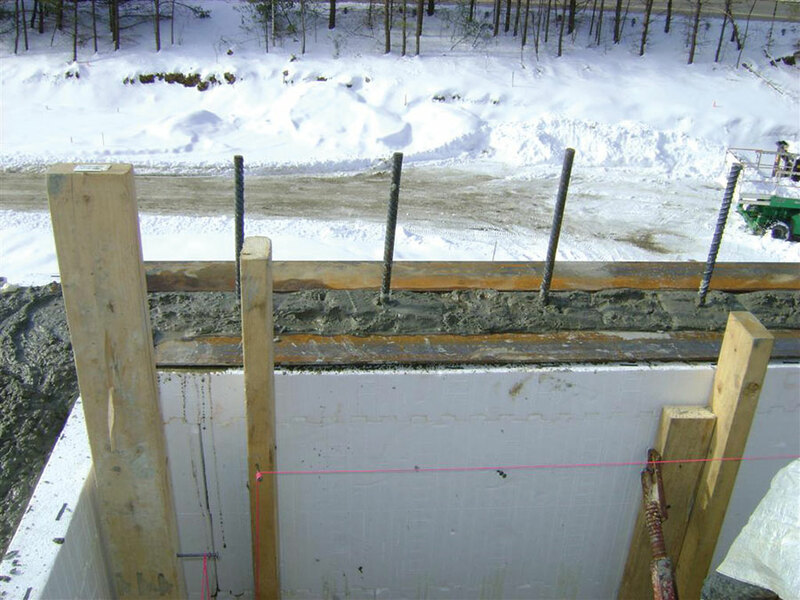 Despite outside temperatures of 19°F, the concrete core of this ICF wall remained near 100°F for hours after being poured. The wall segments were frozen prior to placement of the concrete. Due to logistical constraints, the walls were moved out of the freezer during placement of the concrete, but in all cases were returned to the freezer as soon as possible, typically in less than 30 minutes. The same concrete mix was used throughout: air entrained, 3000 psi mix with ⅜-in aggregate. The cement ratio was 564 lbs/cy, and the mix measured 66°F going into the forms. Results from the “clear wall” sections proved ICFs work far better than removable forms. The average air temperature over the seven-day post-pour period was approximately -5°F. Yet the mix in the four-inch wall didn’t fall below 40°F for a full 48 hours, and didn’t start to freeze until three days after placement. In the six-inch panel, the concrete remained above 40°F for four full days, and finally started to freeze at 5.5 days after placement. The “adjacent to a wood buck” sections used 6” of EPS insulation on the top and bottom, but only 2” of wood on the sides. Actually, only one side was plain wood. On the other, they attached 2” of EPS foam over the wood buck. Bucks were secured using ½” diameter steel bolts. Knowing these would allowed significant thermal bridging, researchers placed thermocouples directly behind the bolts. The 4-inch core with uninsulated bolts proved to be unsatisfactory, as the area within 2” of the bolts dropped below the 40°F threshold within hours and froze within 36 hours. But the 6” panel performed adequately, and the 6” insulated buck panel performed almost identically to the clear wall. On the third configuration, “poured on a frozen footing,” test results were mixed. The footing, measuring 18”x6” was pre-chilled at 0°F for 18 hours, and averaged 25°F at the time of the pour. Thermocouples indicate that the footing immediately froze the liquid water in the fresh concrete at the interface between the ICF and the footing. This should have resulted in a layer of frozen concrete at the base of the wall which would compromise its structural integrity. Yet, actual test cylinders taken 6 inches above the footing measured just over 5,000 psi on a designed 3,000 psi mix. Otherwise, the wall stayed above the 40°F for at least 48 hours at six inches above the footing and for 72 hours at 18 inches above the footing. 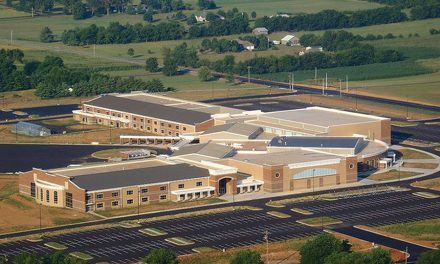 The complete PCA report includes a set of tables based on a wide degree of variables not covered in this summary, including concrete temperatures as low as 40°F, air temperatures as low as -20°F and four typical concrete mix designs. Data on corners, lintels, and the use of fly ash and other pozzolans are also considered. Polley and Summers both report that the biggest issue with cold-weather ICF work has nothing to do with concrete. “The biggest issue is the safety factor of keeping the crew warm,” says Polley. 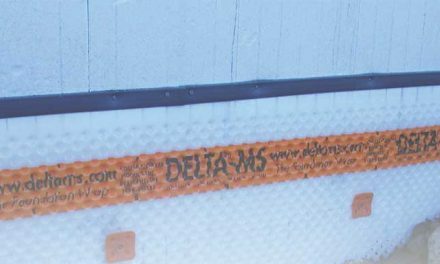 “Also, bracing and scaffolding can get icy, which creates additional safety concerns.” Summers says that in extreme cases some plastic webs can become brittle, and that he’s cracked a few furring strips attaching bracing in sub-zero temperatures.